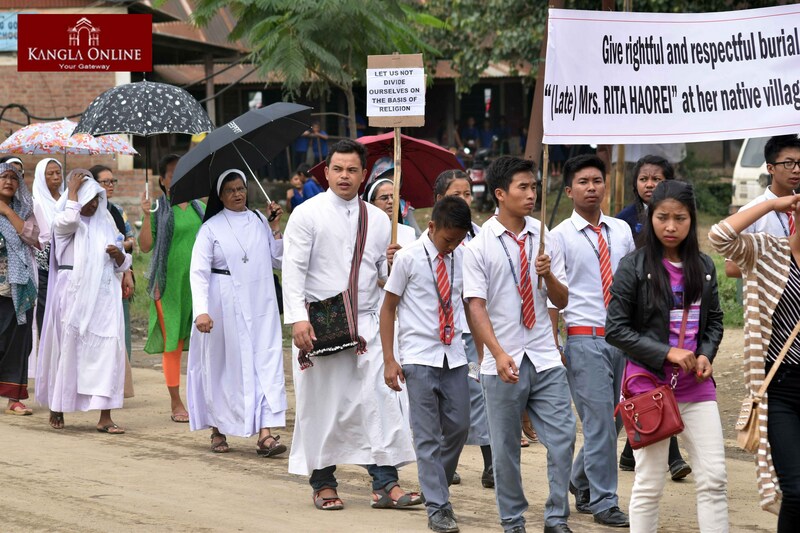 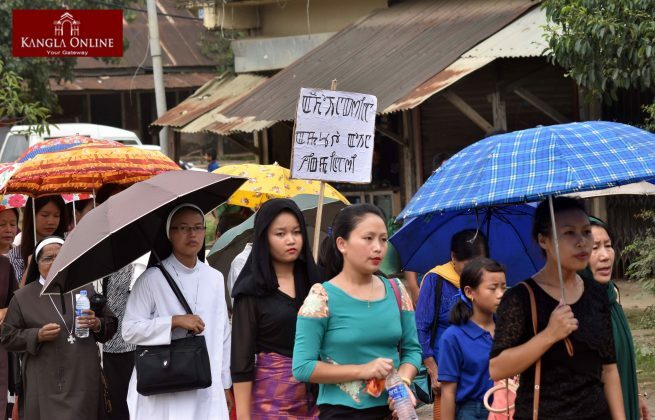 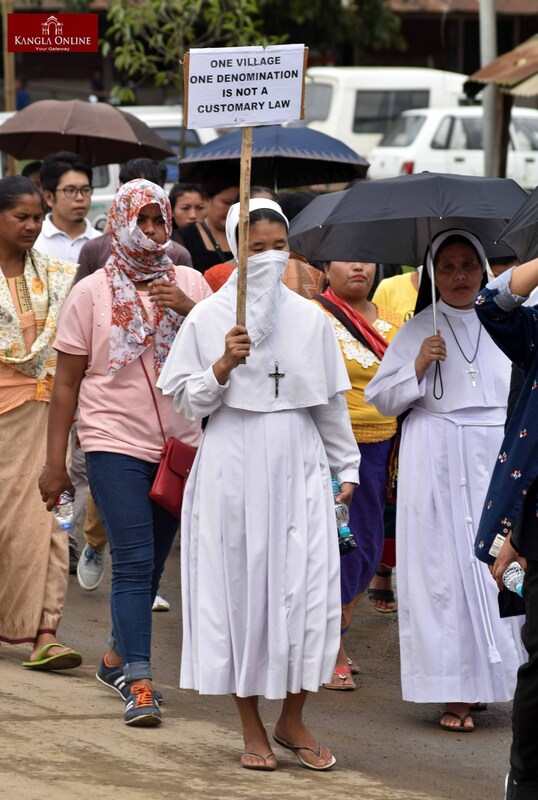 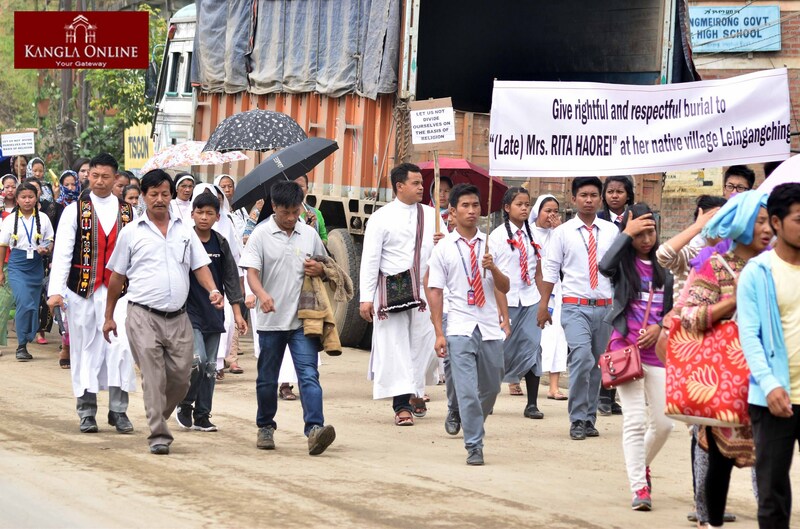 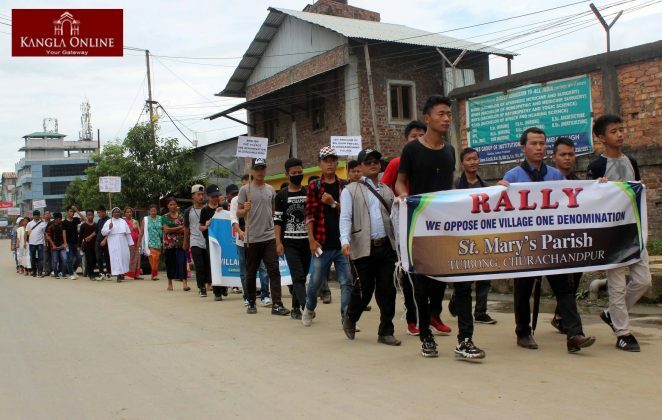 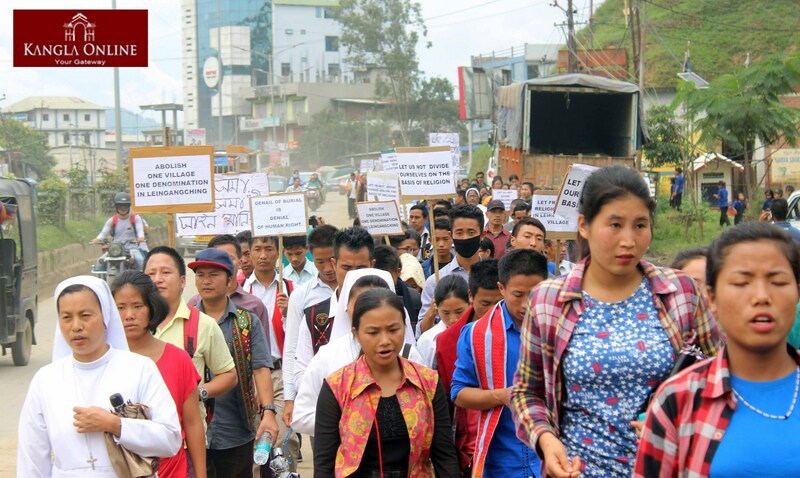 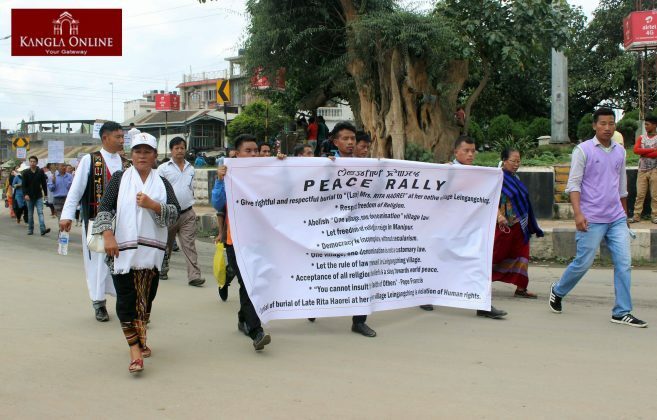 Mass protest rally against the acts of religious persecution and denial of the last religious rite to Late Rita Haorei of Ukhrul district, Manipur carried out from Don Bosco School Ground, Chingmeirong on August 17, 2017. 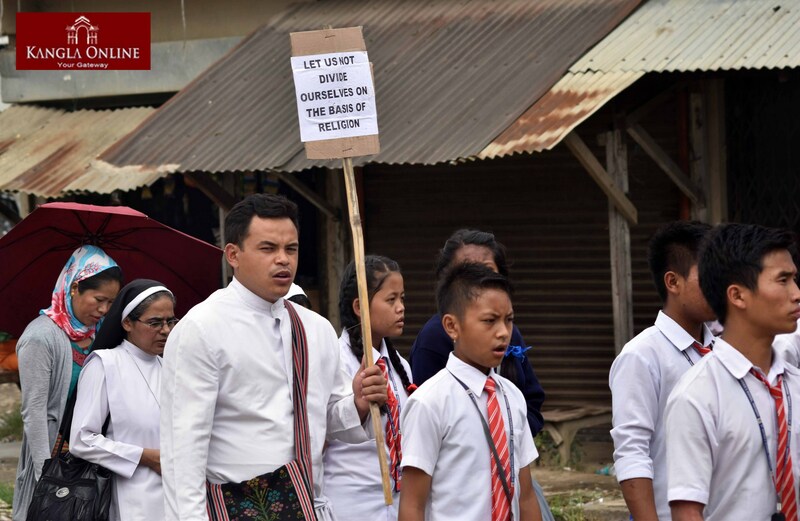 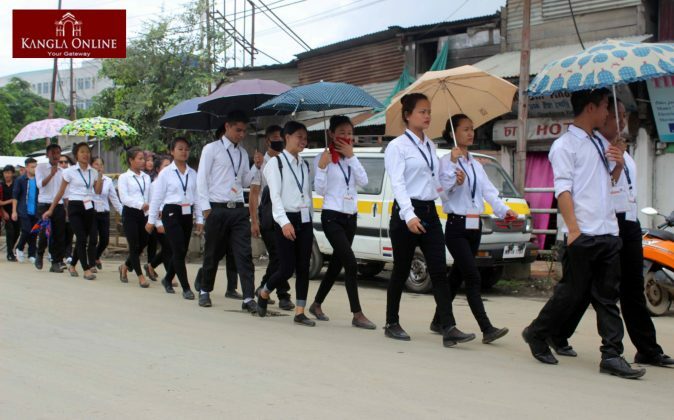 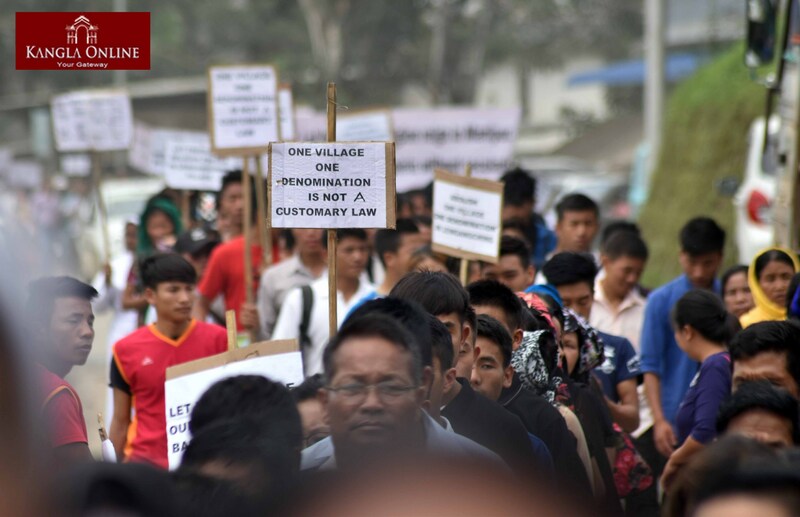 Large number of students and peoples took part in the mass rally which began from Don Bosco School Ground, Chingmeirong and passes through Khongnang Ani Karak, Thangmeiband DM College gate, Khuyathong, North AOC and wind up at the Don Bosco School Ground, Chingmeirong. 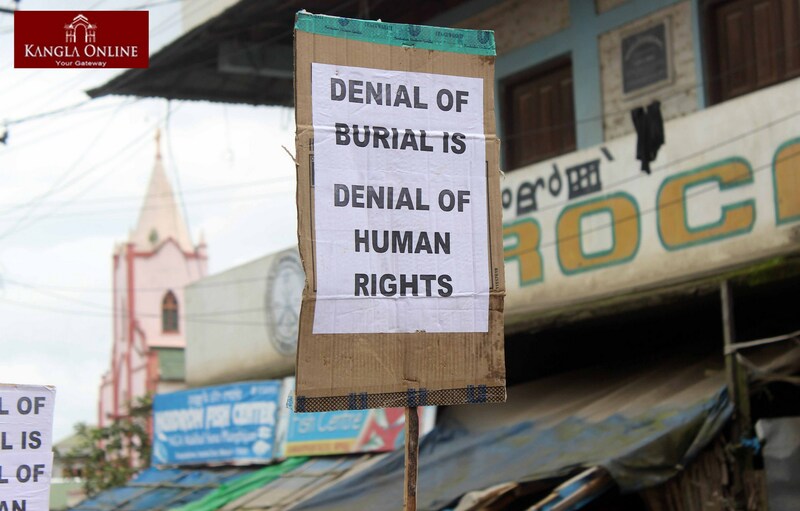 The protestors displayed placard that read denial of burial is denial of human rights, give rightful and respect burial of Late Mrs Rita Haorei at her native village and let us not divide ourselves on the basis of religion and abolish one village denomination on Leingangching etc in the rally. 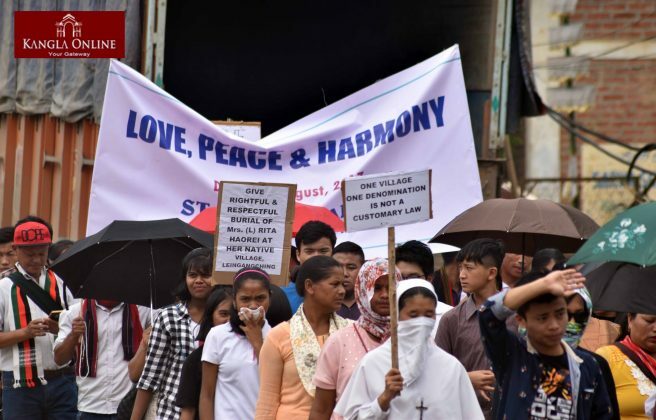 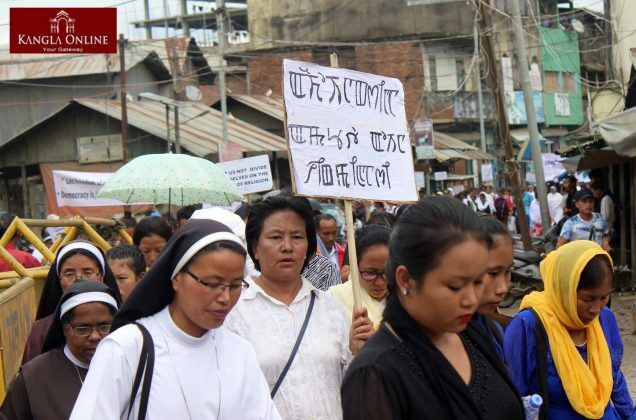 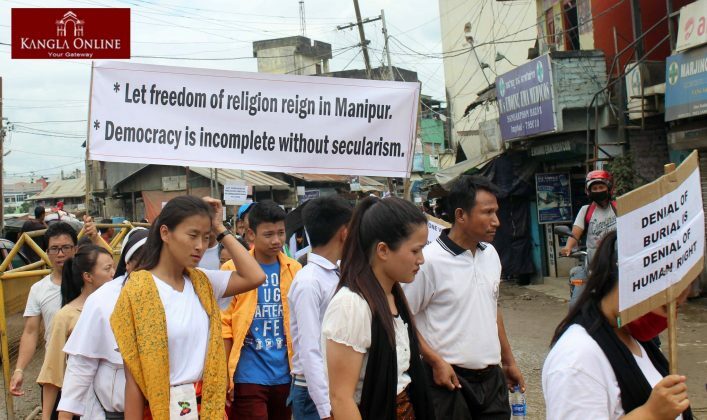 The mass rally was organized by Catholic Church Union, Manipur. Rita Haorei, wife of Yangmi Haorei of Leingangching Village, Ukhrul district but presently staying at Litan expired on August 7 but her mortal remains have not been put to rest till date as Yangmi Haorei who was earlier a Christian Baptist embraced Catholic denomination of Christianity. 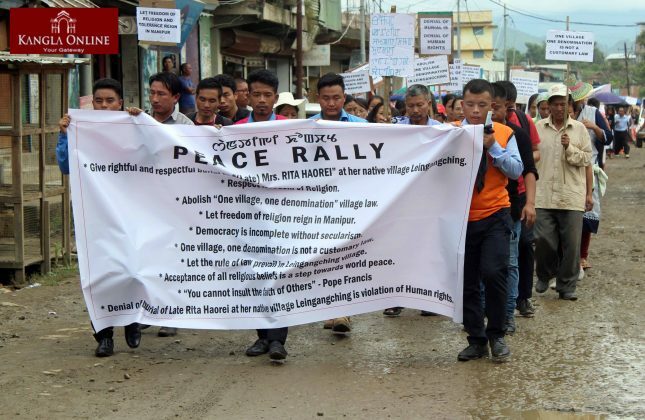 For his conversion from Baptist to Catholic, Yangmi Haorei and his family were ex-communicated and banished from Leingangching village on January 7, 2010. 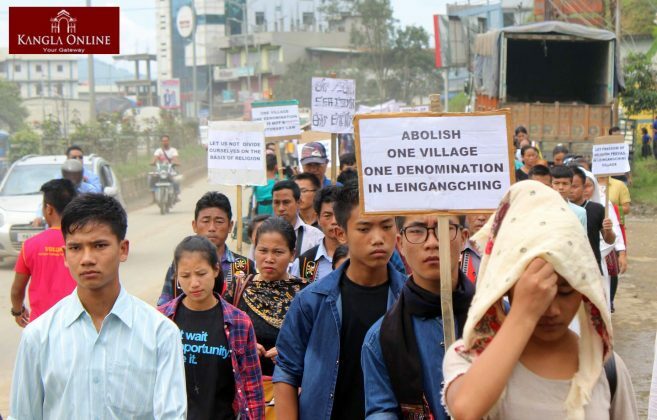 Now the people of Leingangching are preventing Yangmi Haorei from burying his dead wife at their native village.